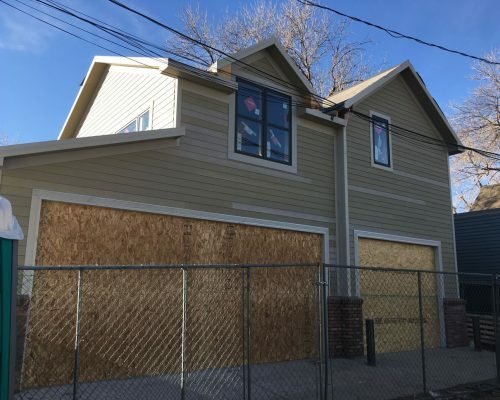 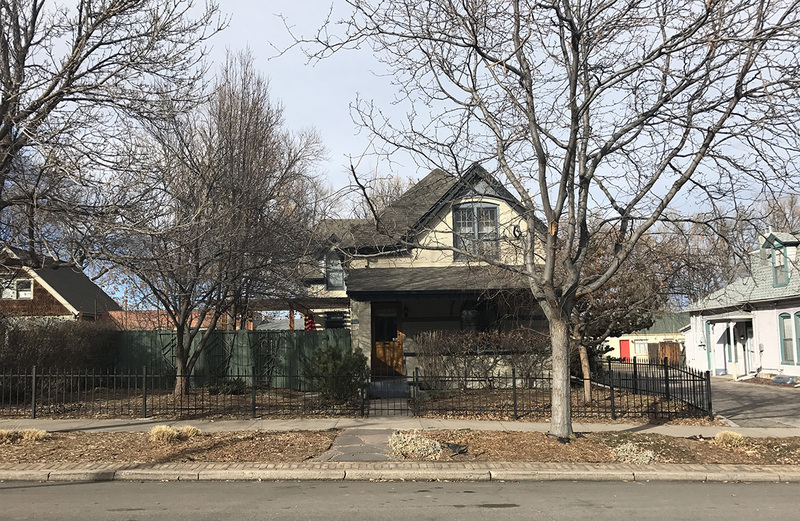 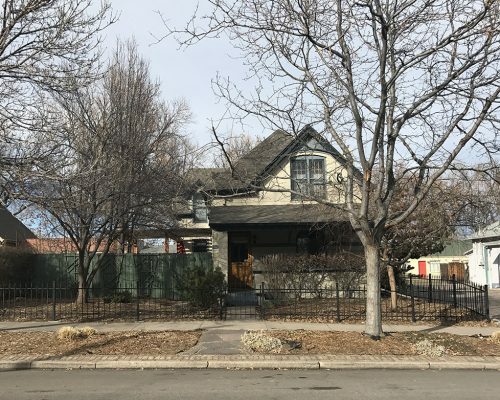 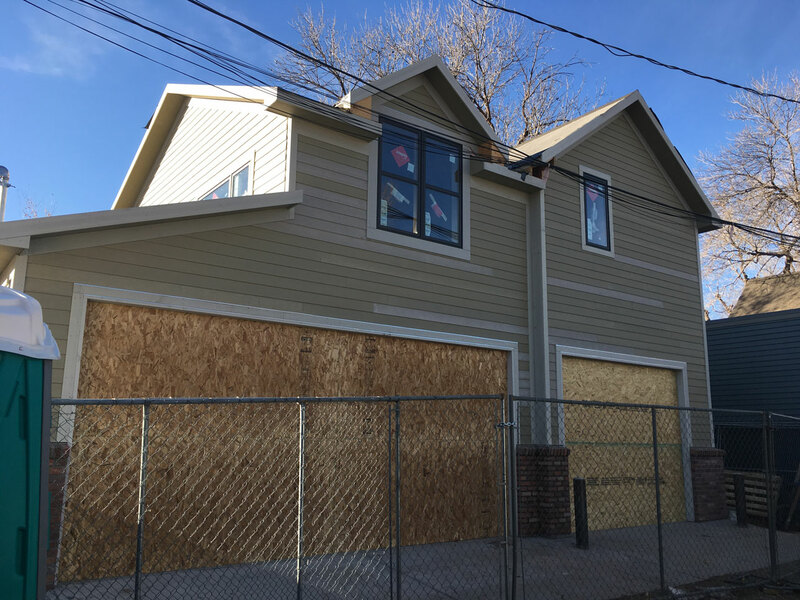 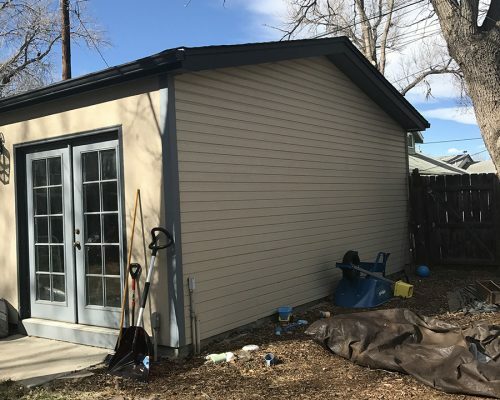 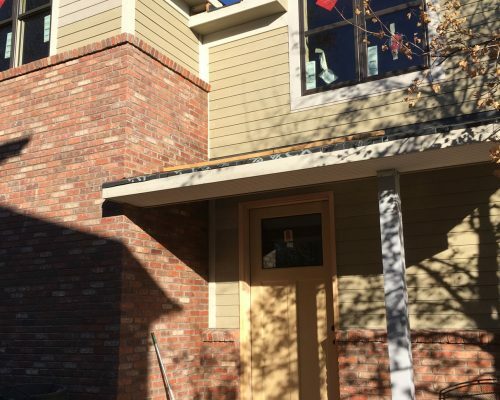 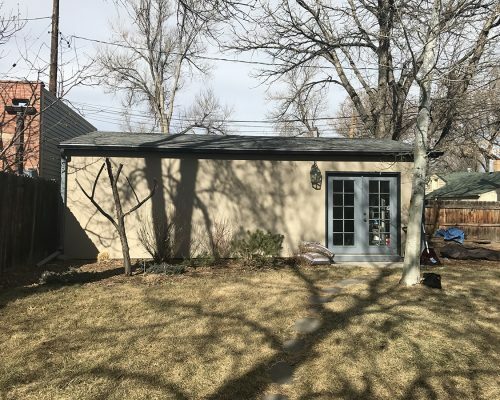 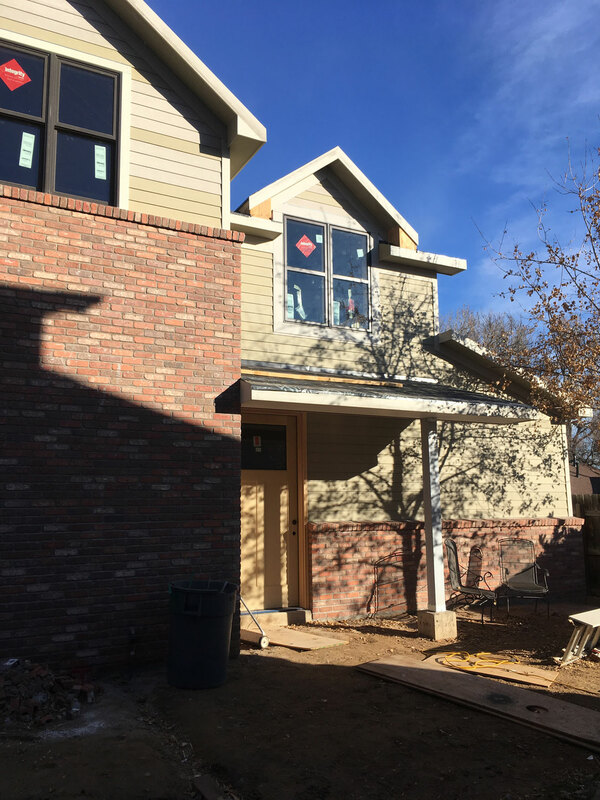 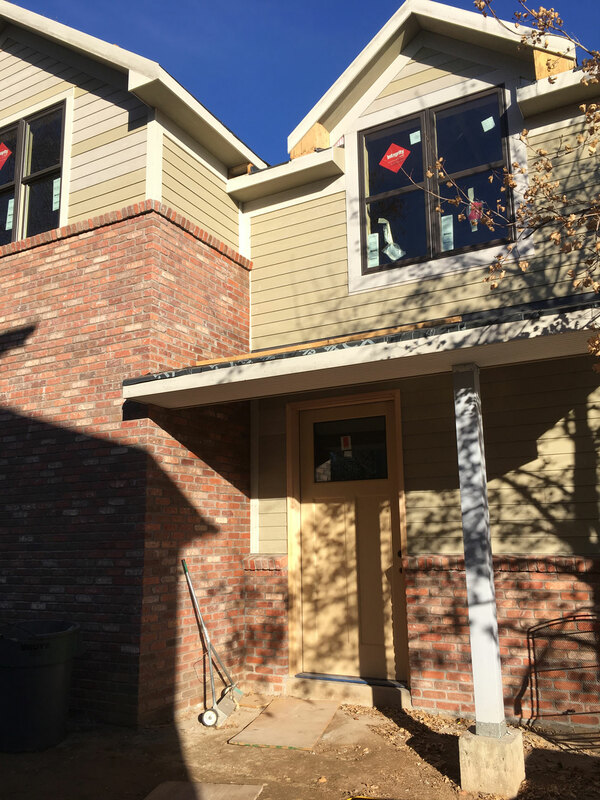 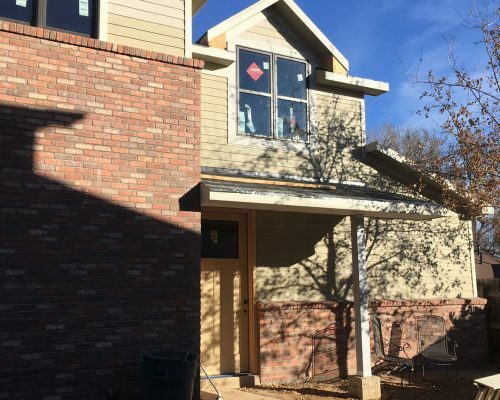 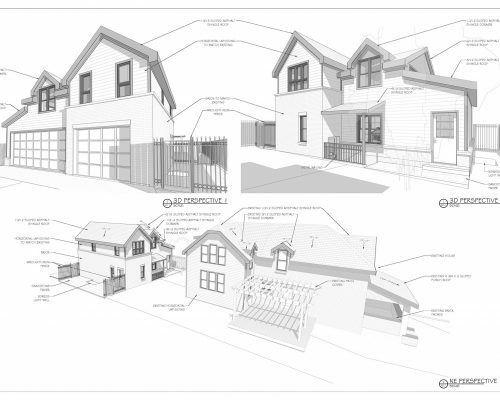 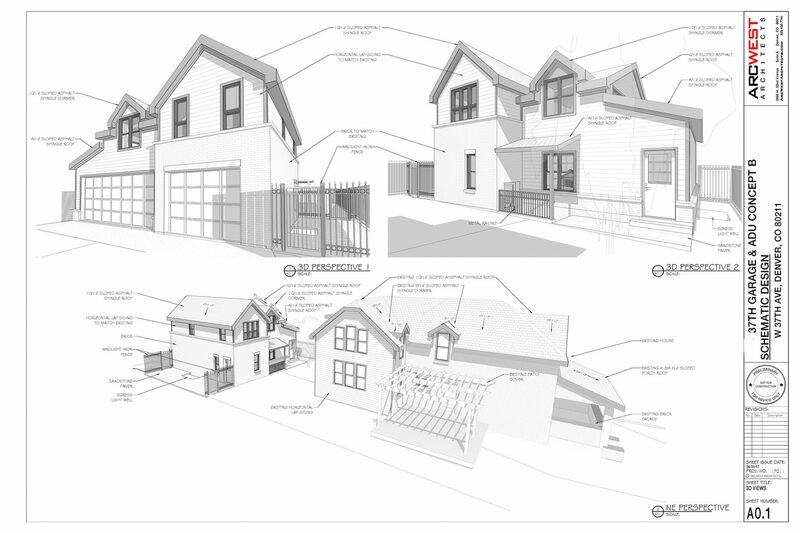 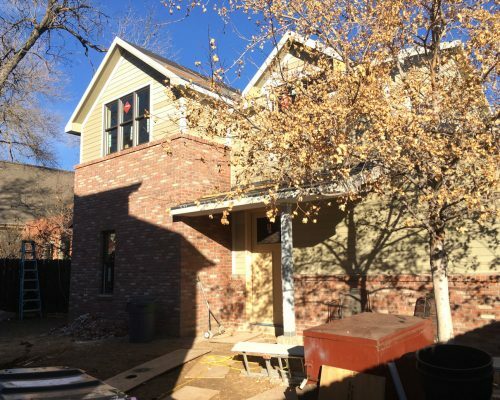 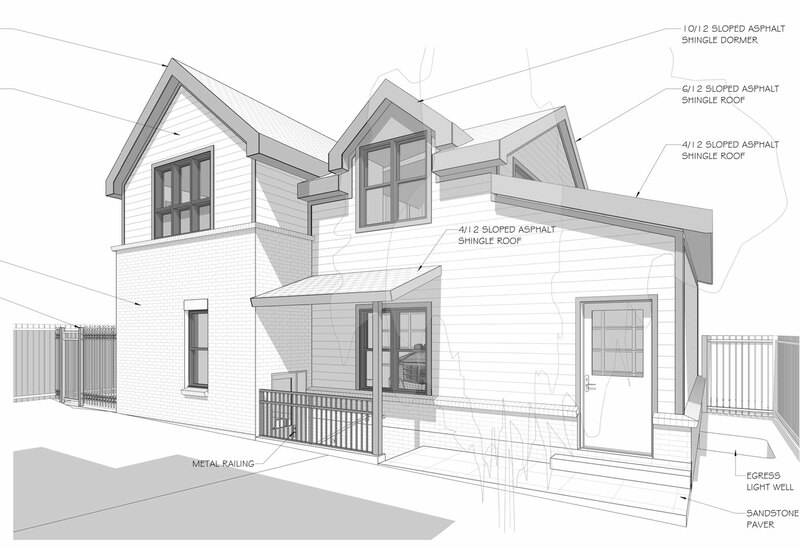 Homeowners in Denver’s Highlands neighborhood hired ArcWest to design the addition of an Accessory Dwelling Unit (ADU) and garage to the rear of their property in the Potter Highlands Landmark District. 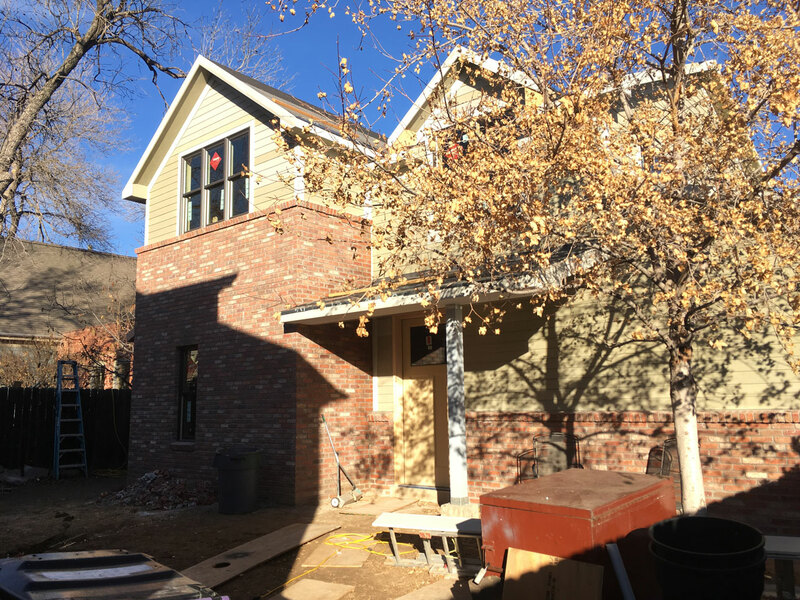 In order to conform to the historic nature of the property and surrounding neighborhood, the ADU features brick detailing, roof lines, and dormers consistent with neighboring structures. 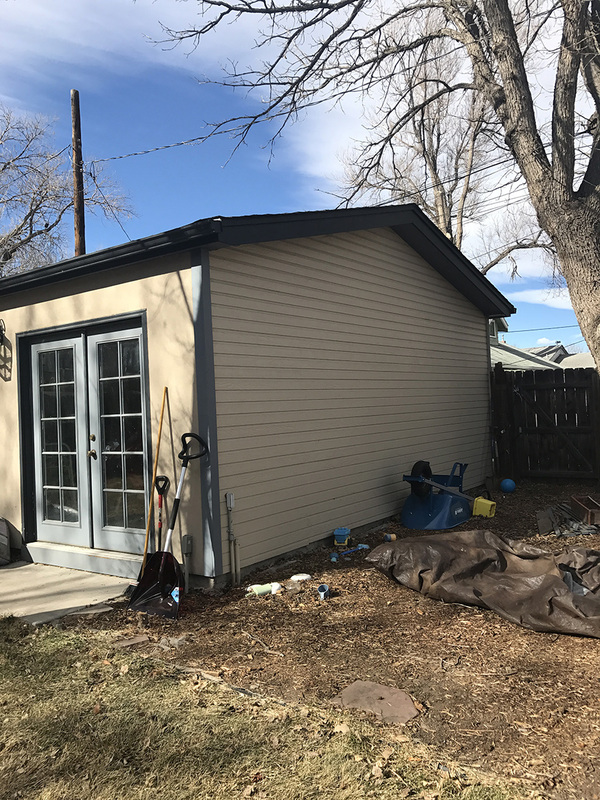 Consisting of 2 stories and a basement, the new ADU provides ample living space in the modest 1,000 Sq. 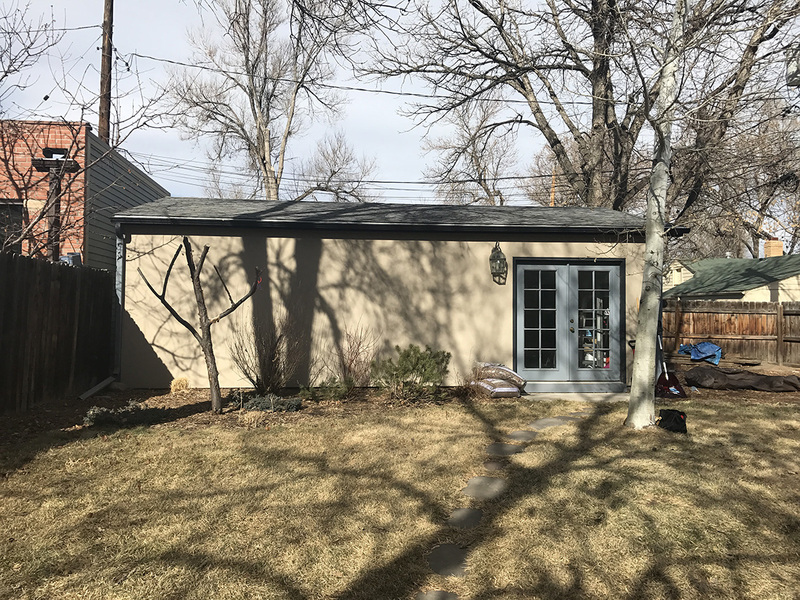 ft. footprint. 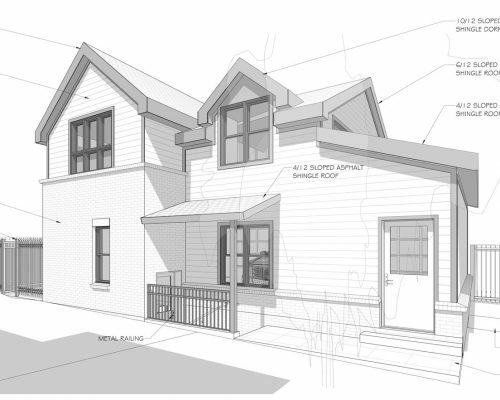 The new dwelling unit will include an open kitchen and living room, 1 bath, and 2 bedrooms, all with modern fixtures and appliances, giving a modern feel within the traditional facade. 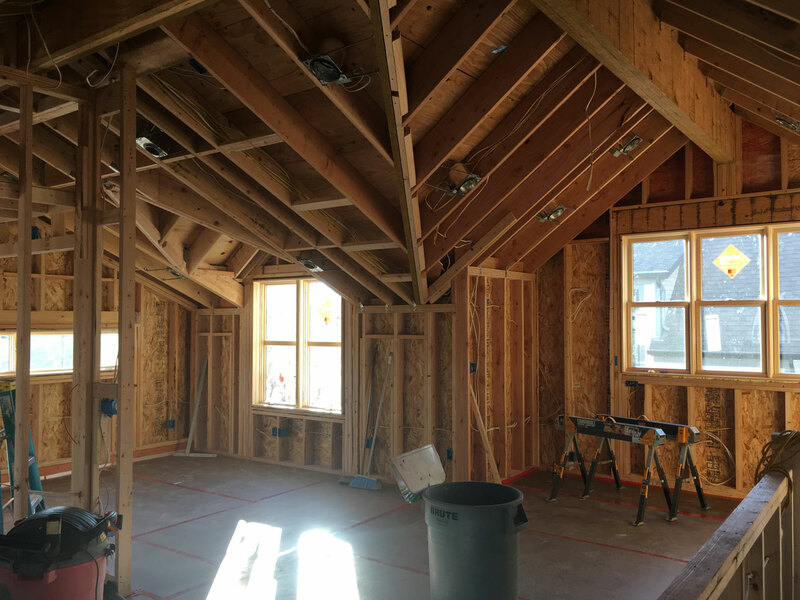 And, in order to maximize the allowed footprint, a basement was added as entertainment and studio space while also allowing for extra storage.